You know your products are rock solid — now it’s time to make sure your product pages are doing their job! Help your products shine above the rest with these great product page plugins designed specifically for WordPress e-commerce sites. It can be tough to know exactly what will turn a browser on your e-commerce site into a buyer. Will it be the great photography? The witty product description? The glowing testimonials from happy users? It could be any or all of these things, which is why in order to stay competitive you need to make sure every element of your product pages is dialed in. Fortunately, if you’ve built your e-commerce site on WordPress you’ll find a number of great plugins to help you make that possible. Here are some of our favorites. Make it easy for customers to shopper products with a slick catalog plugin like Ultimate Product Catalog by Etoile Web Design. This plugin comes with customizable layout templates and a variety of useful widgets (like recently viewed products), and lets you sort products by category and tags. Plus, it integrates with WooCommerce so you can sync your products easily. It comes in a free and premium version, with a seven-day trial of the premium version to let you check it out. Whether you offer differently-sized T-shirts, monogrammed kitty collars, or a rainbow’s worth of pocket squares it’s likely your products come with options. 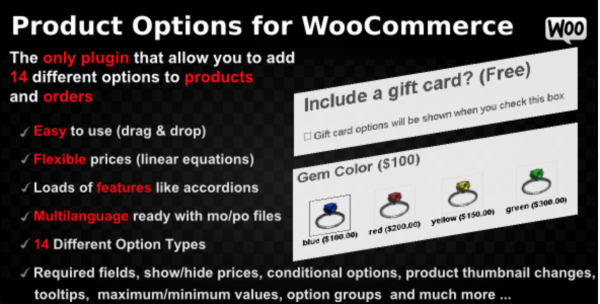 Product Options for WooCommerce is a fantastic plugin for doing just that. It lets you add radio buttons or checkboxes, drop-down menus, or message fields so your customers can personalize your products. It’s only $29 through Envato. Nothing builds trust for online shoppers like honest reviews. 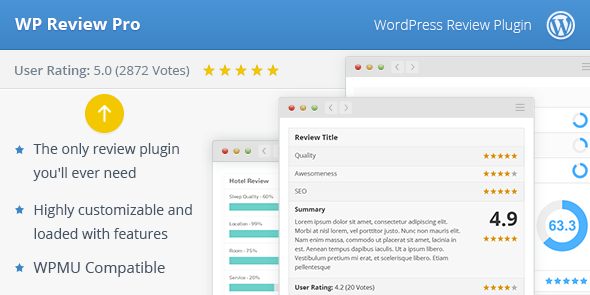 Make it easy for your happy customers to leave reviews with a robust plugin like WP Review Pro. It offers a number of rating systems (including stars or percentages), lets customers leave comments, and even includes optional CSS animations if you want to really make your reviews stand out. Best of all, by generating rich snippets, reviews actually show up in Google search results. Get it for $29 at MyThemeShop. 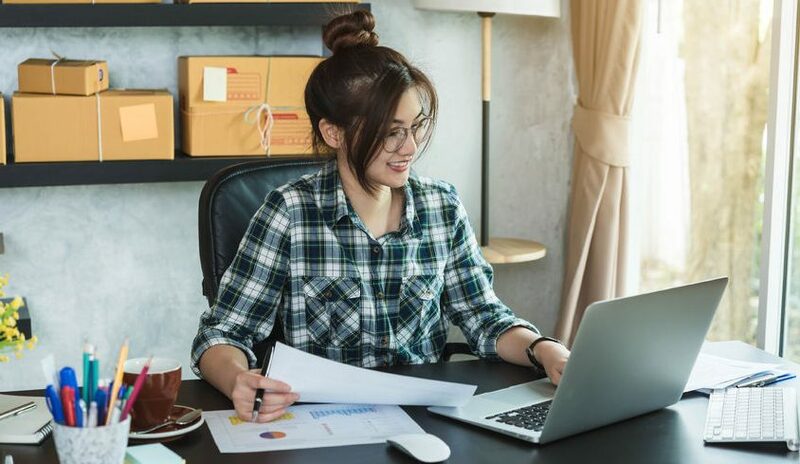 Save your customer service team some hassle and help your customers make a better decision by including a frequently asked questions (FAQ) section on your product pages. A plugin like HTML5 Responsive FAQ makes that simple! You can create different categories of FAQs to use on different product pages, and set it up with different accordion styles. And as the name says, the plugin is fully responsive. Boost your average order value by cross-selling over your different product pages. A good related products plugin helps keep visitors on your site longer, and makes it easier for them to browse your catalog. Yet Another Related Posts Plugin (YARPP) is one of the most popular related posts plugins, and has the benefit of allowing you to advertise your various products on other pages of your website, too. Even the best products won’t sell themselves. Fortunately, good product page plugins make it easier than ever for you to create product landing pages that help convert shoppers into buyers. Have you tried any of these plugins? We’d love to hear your experience. Leave us a comment below to tell us about your favorites. Thanks for taking the time to put this post together. We use many of the tactics you have described but found a few new ones that we will definitely start using. Thank you for stopping by and checking it out, Emily! We’d love to hear about any plugins you use for product pages, too. this is prabhu. i’m a web developer. this article is really helpful to know about the best product page plugins for wordpress website. Great post, thanks for sharing the valuable info about Best Product Page Plugins for WordPress Sites. In my opinion WP Review plugin is must for every blogger who is in reviewing business, it is one of the best plugin in WordPress list.